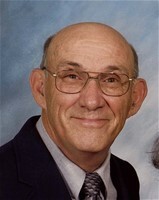 C. Arnold Fulmer, 76, of Elizabethtown, KY, went home to be with Jesus on Monday, January 21, 2019. Arnold was born on November 18, 1942 in Whites Chapel, AL. He lived in and around the Birmingham, Alabama area until 2002. He retired after 39 years from Vulcan Painters, Inc. in Birmingham. He then moved to Elizabethtown. He was preceded in death by his parents, Claud F. and Mary Viola Fulmer of Shelby County, AL. He is survived by his wife of 49 years, Kay Clark Fulmer; his wonderful 4 children, Monica (Scott) Kisselbaugh of Elizabethtown, Heather (Doug) Grisaffe of South Lake, TX, Scott C. Fulmer of Hoover, AL, and Philip (Alexandra) Fulmer of Eagle River, AK; his 7 grandchildren, Madison and Jack Kisselbaugh, Annie and Ethan Grisaffe, Riggs Fulmer, and Sydney and Sophie Fulmer. There will be a Celebration of Life service at 3 p.m. Sunday, January 27th at Grace Church, 243 W. Dixie Ave. Elizabethtown, KY. Visitation will begin at 1:30 p.m. at the church. In lieu of flowers, a donation to the Pulmonary Fibrosis Foundation in Arnold's name or to Grace Church in Elizabethtown would be greatly appreciated. Condolences may be expressed online at www.brownfuneral.com.